Tomorrow, the Hopscotch Music Festival returns to downtown Raleigh, and we couldn’t be more pumped! As you frolic between shows, we hope you’ll stop in and visit us for concert-going sustenance. Here's the rundown of hours and offerings within the AC Restaurants universe. Open daily from 7am to 7pm. As in past years, we’re excited to feature our Hopscotch inspired cocktail menu through the weekend! We’re also offering a few selected grab-and-go food items at the coffee counter for those on the move. Think biscuit sandwiches and pimento cheese on buttermilk bread. And don't forget the matcha lemonade! Follow @joule_raleigh to keep up with weekend offerings. Open Thursday thru Saturday from 5pm to 11pm, Sunday from 5 pm to 10 pm. Make your reservation here, or just walk on in—we always reserve our kitchen counter seats for walk-ins. Follow @deathandtaxesnc to keep up with weekend offerings. On Friday, Fox turns FIVE! Come celebrate with our latest tapped cocktail, white sangria, featuring apple brandy, white wine, and ginger. We’ll also be pouring Ferrari shots from the tap, plus all the other cocktail favorites. Open daily from 5 pm to 2 am. Follow @foxliquorbar to keep up with weekend offerings. Have you feasted on our OG chicken sandwich? 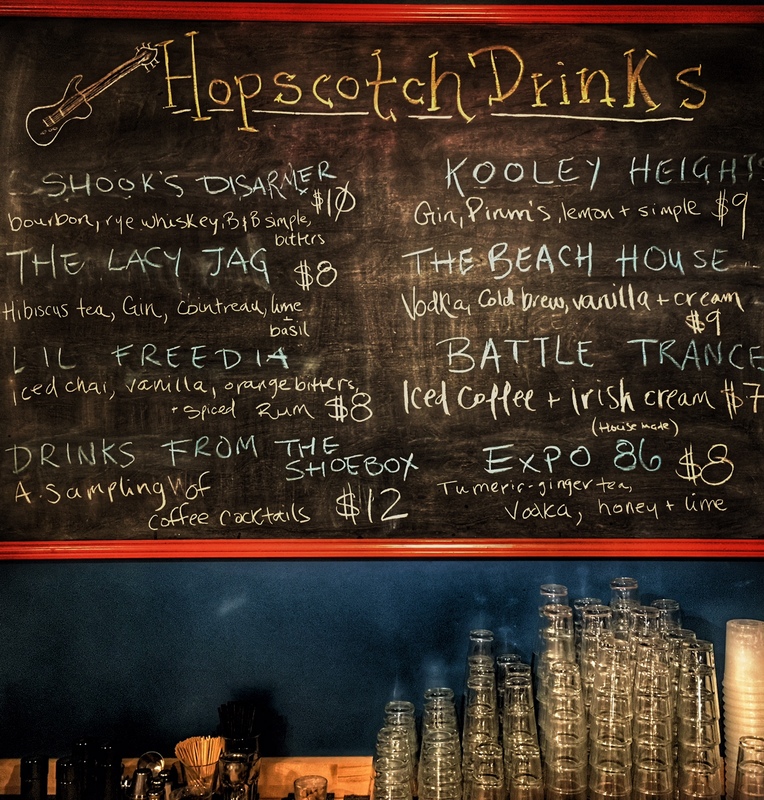 Grab one this Hopscotch weekend. Open Thursday and Friday from 11:30 to midnight, Saturday from 11 to midnight, and Sunday from 11 to 10pm. Follow @beasleys_raleigh to keep up with weekend offerings. Grab a caramel cheesecake milkshake in between your day parties this weekend (available while supplies last), or get a boost with our pimento cheese burger (and to help us celebrate Chuck's 5th birthday on Friday!). Open Thursday through Saturday from 11:30am to midnight; Sunday from 11:30 to 10pm. Follow @chucks_raleigh to keep up with weekend offerings.